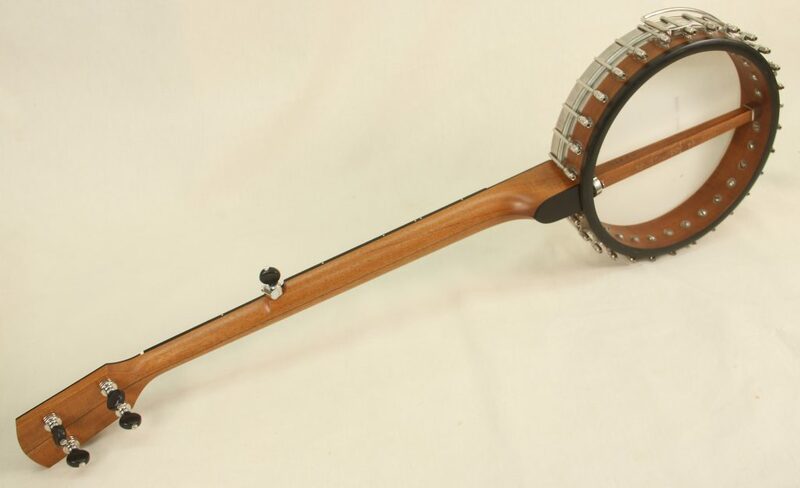 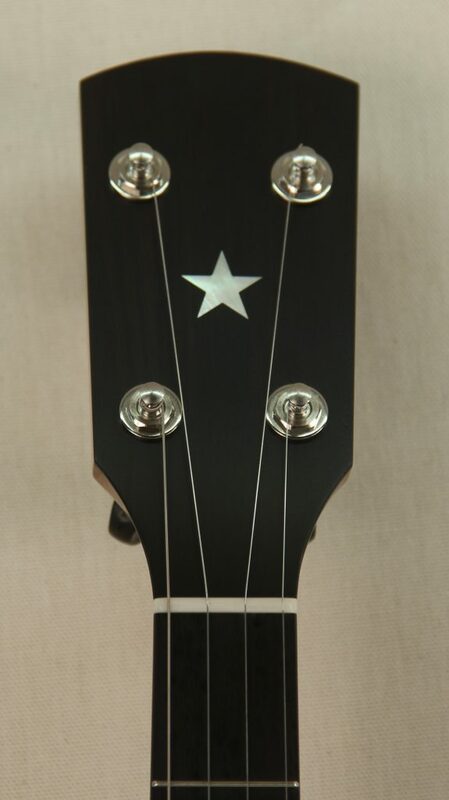 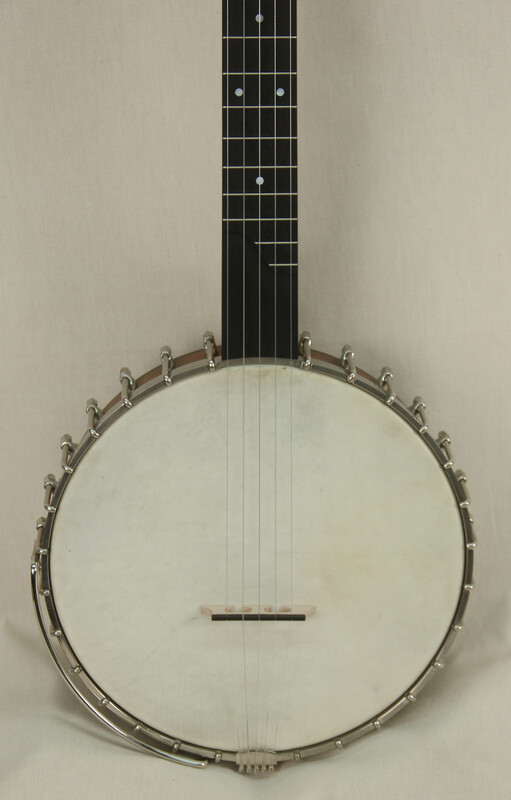 The Vega Instrument Company produced some of the best banjos of the early 20th century. 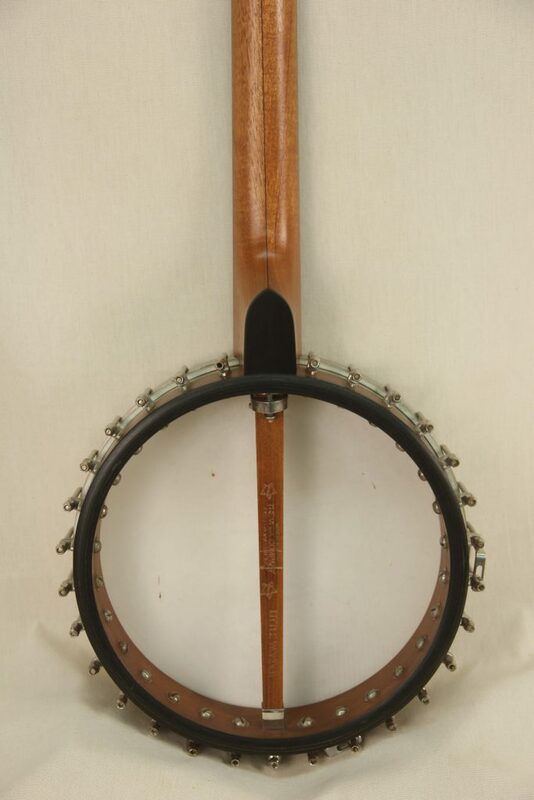 This banjo started it’s life as a 4 string tenor. 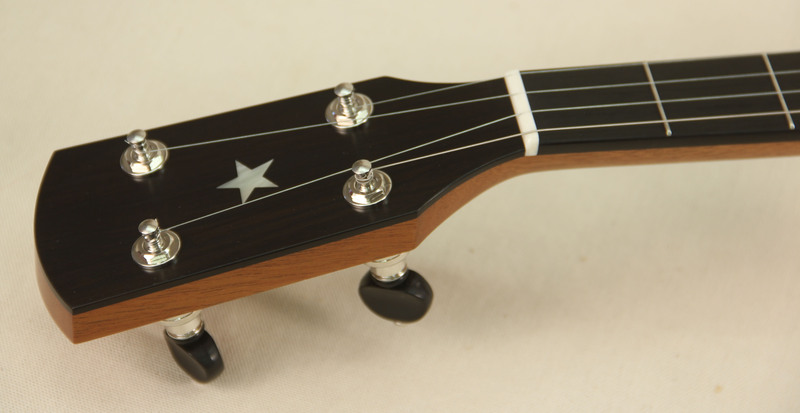 The Little Wonder was one of their lower end models but it was produced with the same attention to detail and high quality craftsmanship of their entire catalogue. 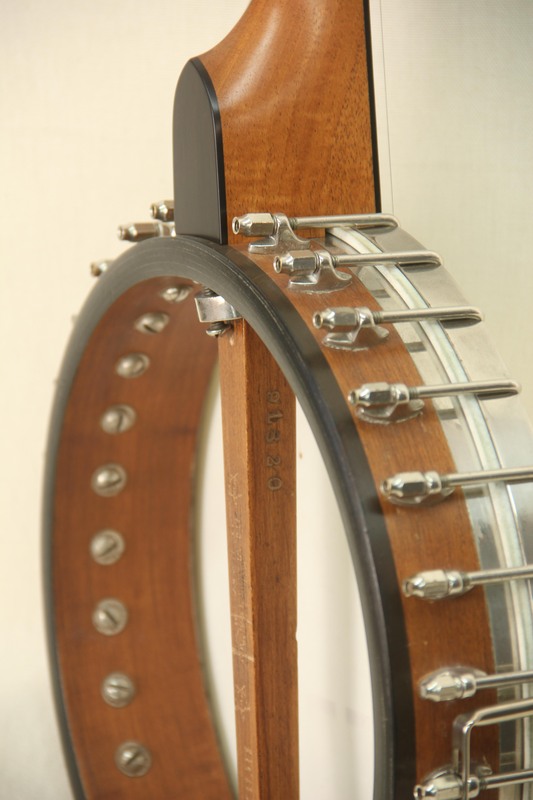 This particular rim is one of the finest examples of an original Little Wonder I have ever seen. 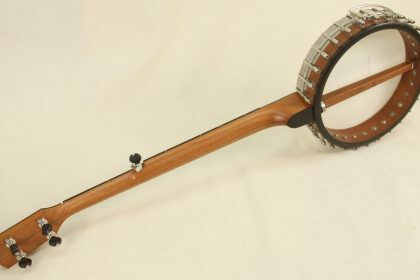 It features Vega’s signature two point shoes which were usually reserved for their higher end models like the Tubaphone, Electric, and Whyte Laydie. 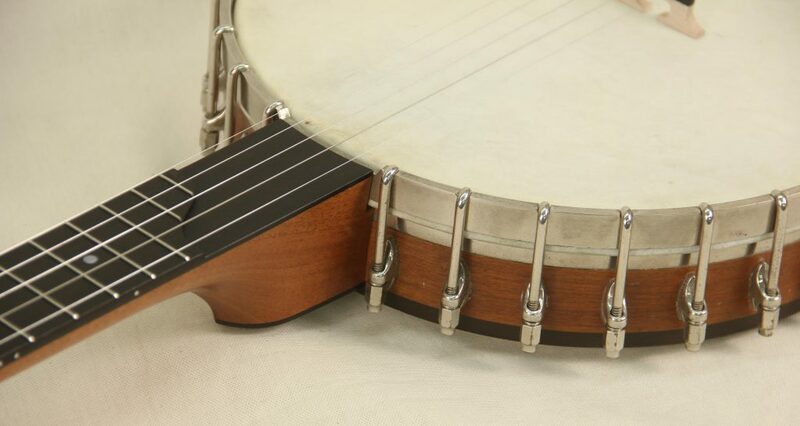 The hardware and rim are in almost mint condition and it’s surprising that this banjo is just shy of 100 years old being built in 1930, which is a little later in the production of these instruments. These banjos make excellent 5 strings and have a classic old time sound. 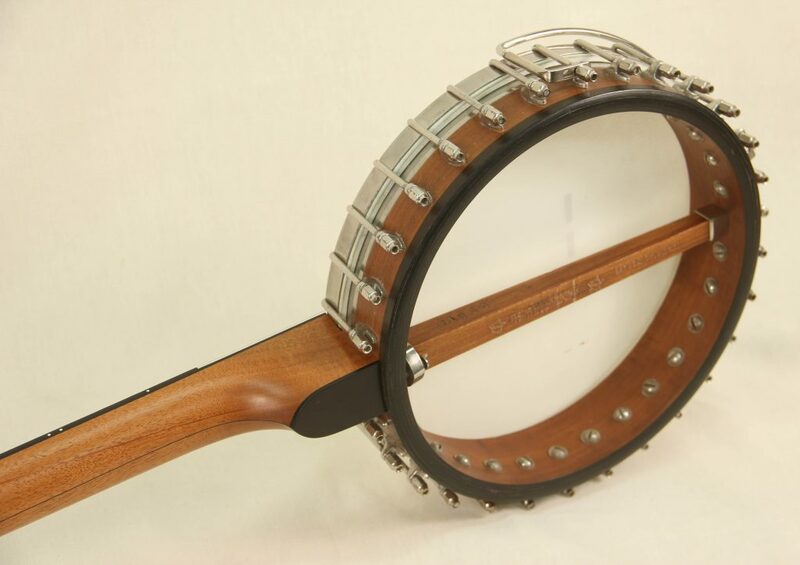 The Little Wonder is not as sought after as the coveted Tubaphones, Whyte Laydies, and Electric models but they stand their ground against some of the best banjos out there.